The announcement of new routes and additional flights by Jet Airways comes amid high competition in the country's civil aviation market. Jet Airways on Tuesday announced addition of two new routes on its international network. The airline will commence non-stop flights between Mumbai and Manchester, and between Pune and Singapore this winter, it said in a press release. 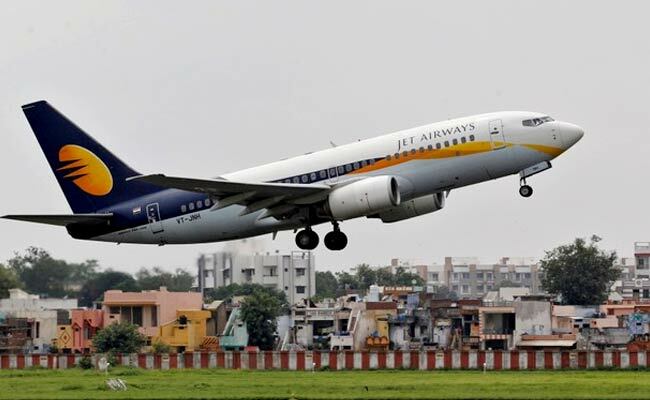 Jet Airways said it will also introduce additional flights on select existing routes - Delhi-Singapore, Delhi-Dubai, Delhi-Bagdogra and Bengaluru-Pune - to "meet growing travel demand". The announcement of new routes and additional flights by Jet Airways comes amid high competition in the country's civil aviation market. Jet Airways announced introduction of direct daily services on the Bengaluru-Vadodara, Delhi-Vadodara and Delhi-Coimbatore routes. The carrier also said it would operate a daily service between Mumbai and Patna. The carrier said it would enhance the connectivity from Vadodara, with the introduction of the daily, non-stop flight between Vadodara and Delhi, from October 28. The carrier would also operate a new service between Vadodara and Bengaluru, and a new direct daily service between Delhi and Coimbatore. Jet Airways said it would become the first airline in the country to operate a non-stop service between Mumbai and Manchester. That would make Manchester the 21st addition on the airline's international network, it noted. "With the introduction of the new services and frequencies to destinations in the United Kingdom, Southeast Asia and Gulf, Jet Airways will provide guests with wider choice, convenience and connectivity," said Raj Sivakumar, senior vice-president-worldwide sales & distribution at Jet Airways. The direct service on the Mumbai-Manchester route will commence from November 5, 2018, according to the airline. It further said it would deploy additional frequencies on the Delhi-Singapore and Delhi-Dubai sectors. "Dubai is among the airline's most popular destinations for business and leisure travellers and it was only fitting to increase capacity to this key market," Jet Airways said in its statement.